Our focus is Fresh. Local. Good. 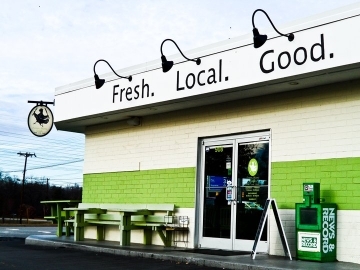 Our goal is 80% local in every food category we serve. We hold ourselves to a strict standard of eco-friendly products and we focus on sustainability and no waste in our day to day practices.